New York, NY – January 28, 2019 – When 650 wellness experts from 50 nations gather to debate the future of wellness, a uniquely informed and global view of trends unfolds. 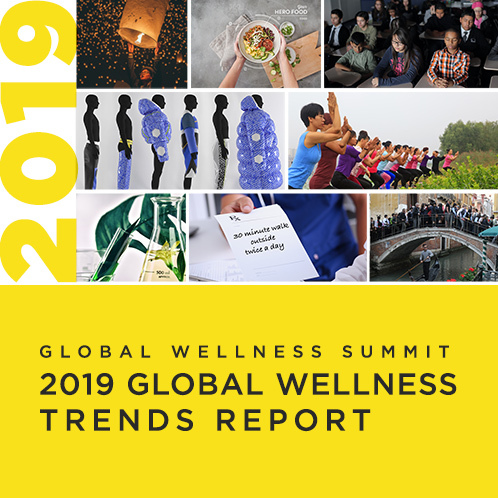 That’s what transpired at the recent Global Wellness Summit (GWS), which brought together leaders from the medical, travel, spa, beauty, fitness, nutrition, technology, financial and architecture worlds to debate where wellness is headed. A flurry of “meditation technologies” will boost—as well as hack—the meditation experience, using tech-like biofeedback, EEG/brain wave tracking and transcranial direct current stimulation. The Muse 2 headband tracks your brain patterns, heartbeat and movement to optimize your meditation session in real-time while Healium, is a VR and AR kit that translates your brainwaves and heartbeat into personal visual meditations.